Cedar City, Utah – Nine students from the Southwest Educational Development Center (SEDC) Region came together to compete for top honors in the Second Annual SEDC Regional Spelling Bee competition on Thursday, March 21st at North Elementary School, which is part of Iron County School District located in Cedar City. The student contenders came from Millard, Iron, and Washington County School Districts and were the top three spellers from their districts. After 20 exciting rounds with 119 words, Jack Parson, a student at South Elementary in Iron County won after correctly spelling the word “dramatize.” Mary Aydon, an intermediate school student from Washington County School District placing second and Brittyn Beams, an elementary school student from Millard County School District, rounded out the top three places. SEDC is proud of all the students who worked hard studying and learning these spelling patterns in preparation. Thanks to all those that participated, the SEDC staff looks forward to seeing the competition grow to include students from all six of the school districts they work with in the Southwest part of Utah. 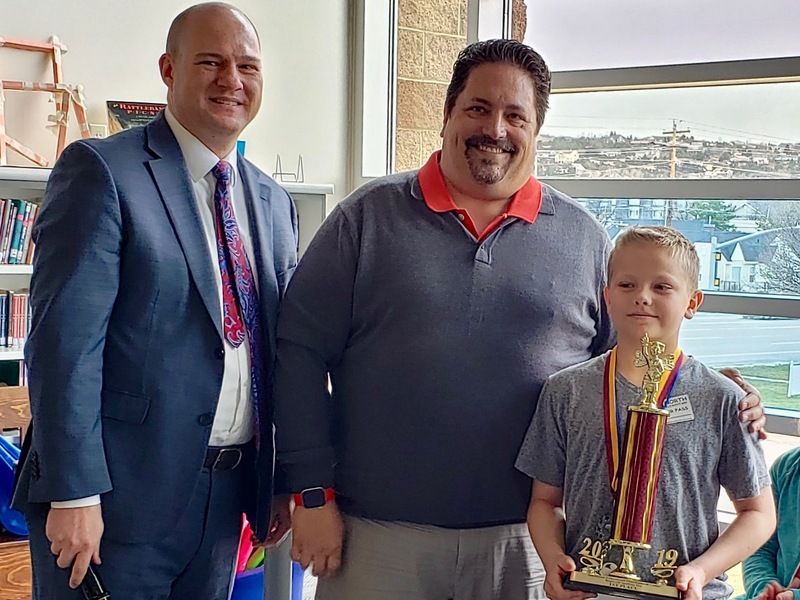 2019 SEDC Regional Spelling Bee Champion, Jack Parson (right) here with Joe B. Wright, Executive Director of SEDC (left) and Clint Stephens, bee organizer and SEDC Educational Technology Specialist. 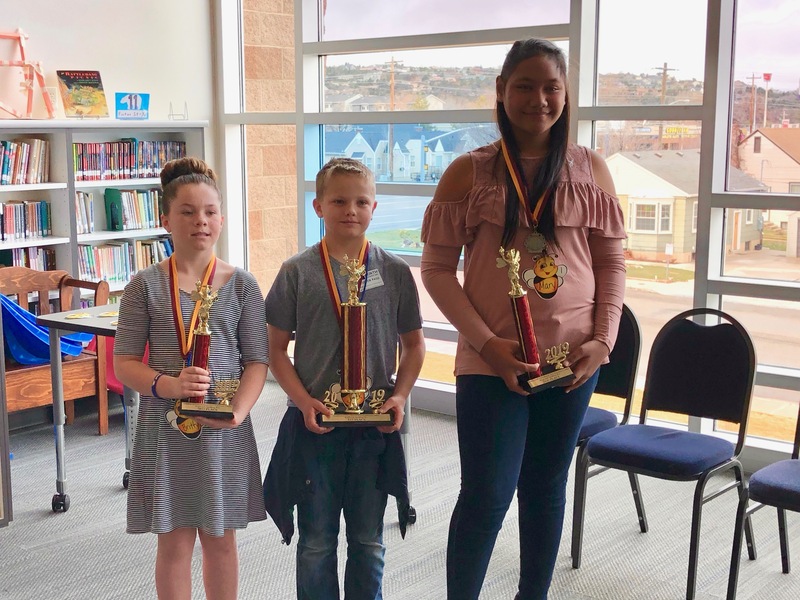 2019 SEDC Regional Spelling Bee Top 3 (L to R): Brittyn Beams (Second Runner Up from Millard School District), Jack Parson (Regional Champion from Iron School District), and Mary Aydon (First Runner Up from Washington School District). 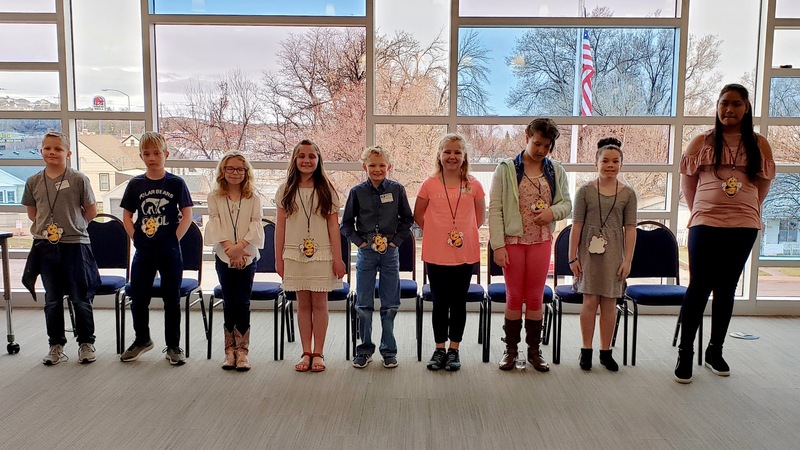 2019 Regional Spelling Bee Participants (L to R): Jack Parson, Austin Heaton, Amy Ellis, Mariah Heaton, Teyl Petersen, Evalyn Steck, Nicole Bennett, Brittyn Beams and Mary Aydon.